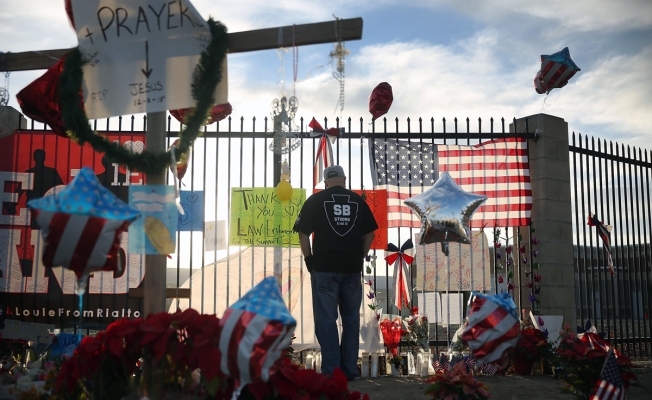 David Santos visits a memorial for those killed and injured near the Inland Regional Center on December 7, 2015 in San Bernardino, California. A month after a deadly rampage left a Southern California social services facility the scene of a federal terrorism investigation, workers will be allowed to return to the campus, though not the building where the shooting took place. Over 500 people will be allowed back on the Inland Regional Center's campus in San Bernardino on Monday, according to a news release. The center's executive director is scheduled to speak in what may be an emotional moment. 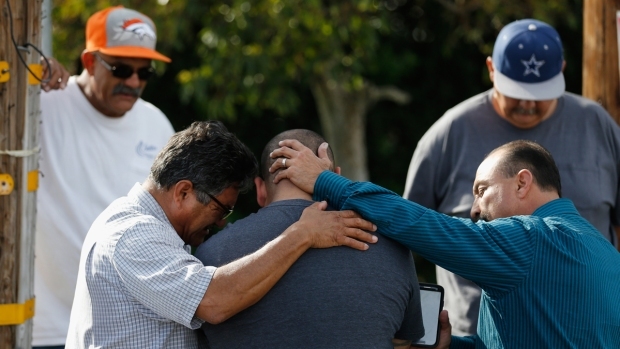 Fourteen people were killed and more than two dozen injured in the shooting at the facility, which serves more than 30,000 people in the community about 60 miles east of Los Angeles. Few of its 600 employees have gone to the office since the terror attack on December 2, 2015, other than a brief visit to gather personal belongings a week. Both shooters were killed after a gunbattle with law enforcement and a friend of one gunman is in jail in connection with the shooting and a failed, earlier plot. While many of the Inland Regional Center's employees have continued to work, visiting the homes of children with autism and mentally disabled adults, they haven't been together in the place where everything froze once law enforcement officers whisked them away. The act of reuniting on campus will be a huge step forward for Inland Regional Center staff. They miss the friendly faces, the hallway chit chat, according to Lavinia Johnson, the center's executive director. They yearn to renew a sense of stability at an institution unmoored by violence. "That's what I'm hearing from them: 'We want to be together again. We want to be back at work,'" Johnson said. As employees return to work on Monday, California Gov. Jerry Brown is expected to attend a private memorial service in Ontario to honor the shooting victims. The independent, non-profit Inland Regional Center serves people with developmental disabilities. It is the largest of California's 21 regional centers. According to a release from the center, hundreds of iPads will be distributed to employees so they can access information remotely. Amid the investigation and cleanup, the campus has been locked behind a chain link fence wrapped in green mesh. While two of the buildings are being reopened Monday, one building will remain closed indefinitely. 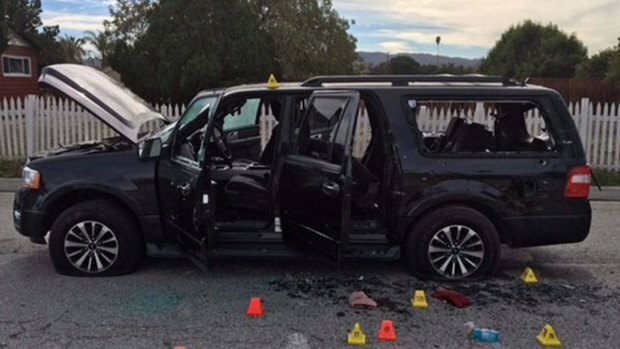 That is the location where Syed Rizwan Farook and Tashfeen Malik opened fire on a holiday party being held by the San Bernardino County health department where Farook worked.